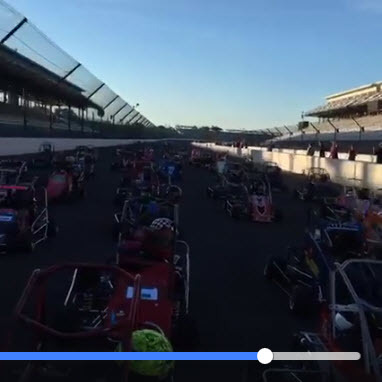 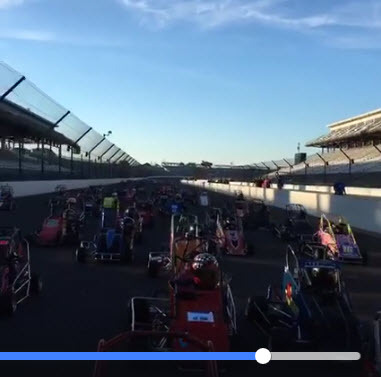 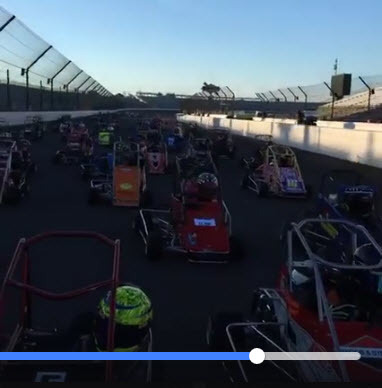 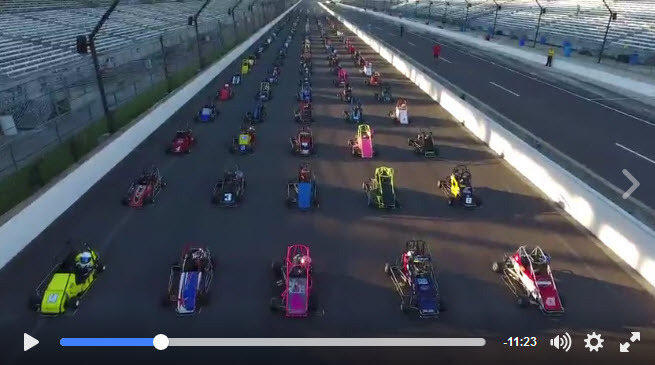 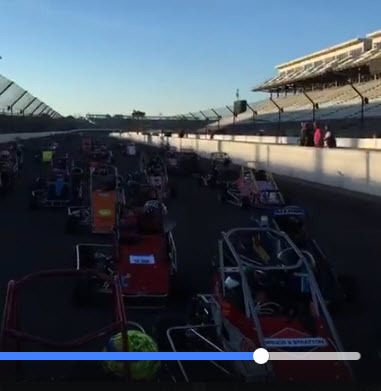 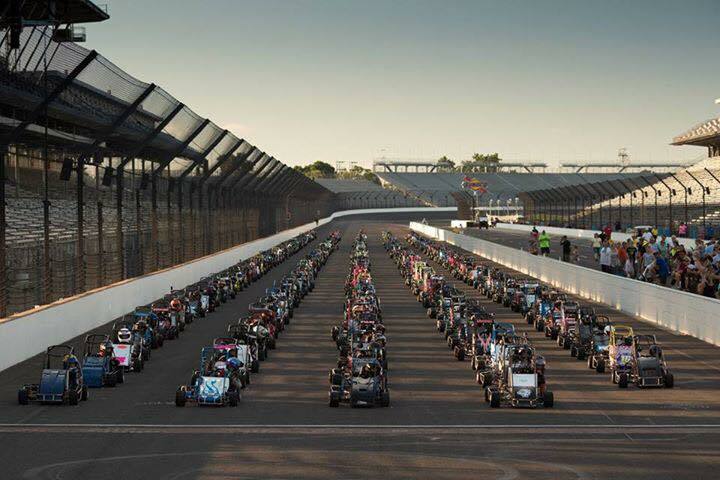 As part of the USAC .25 Battle at the Brickyard, the quarter midget drivers were given the opportunity to take a lap around the famed Indianapolis Motor Speedway. 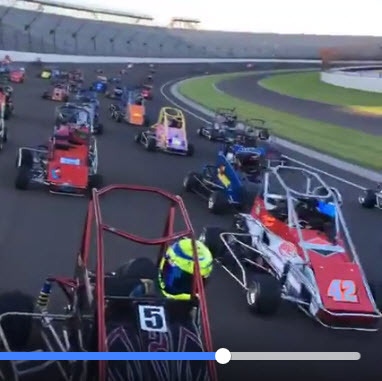 It was such an awesome experience for Dillon! 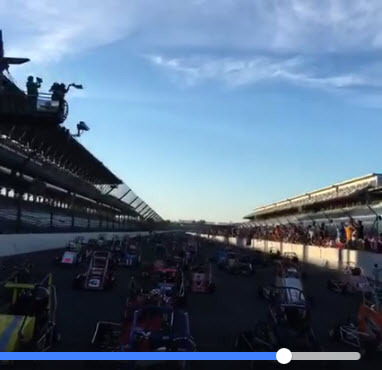 They did a drone fly over video of all the cars lined up before the start. 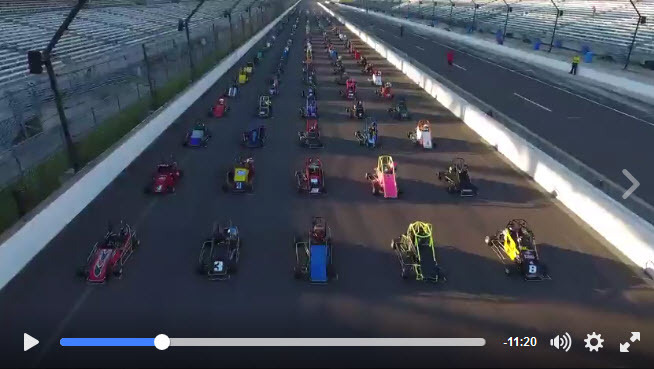 It was really cool to see all those cars on the track together. 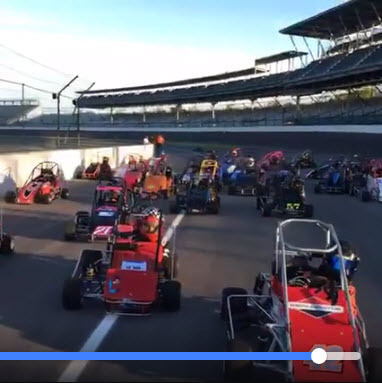 Dillon is to the far left, just behind the bright yellow car (red car with the black and white V design on the front). 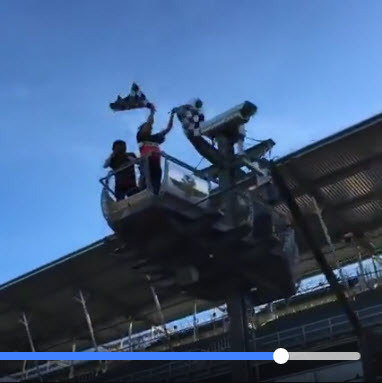 You can see him at around 3:10 in the video. 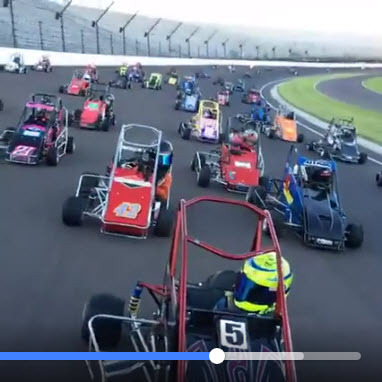 Dillon managed to make his way to the front of the pack by the end of the lap so it's cool to be able to see him on Butch Lamb's video taken from the pace truck. 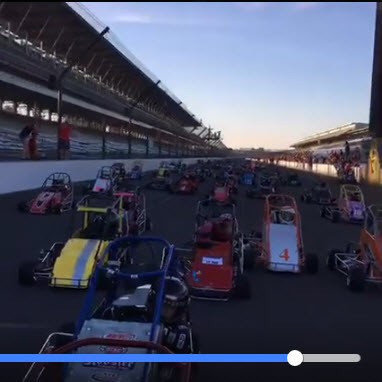 If you look for the red car with the black and white V shape on the front you can find Dillon starting at around the 5 minute mark in the video. 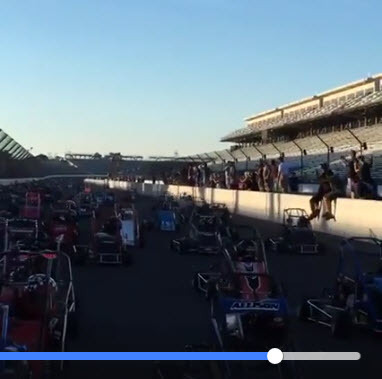 Here are some screenshots from the video where he is seen. 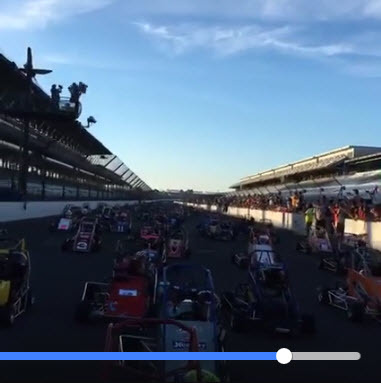 You can see him at first in the upper right-hand corner and then he makes his way to the front of the field.